The Only Monthly Lifestyle Magazine For Columbia County And Metro Augusta. You Don't Have To Live Here To Love It! 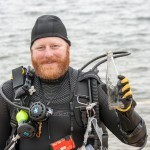 Scuba divers – along with terra firma-loving volunteers – can participate in a cleanup effort at J. Strom Thurmond Dam.